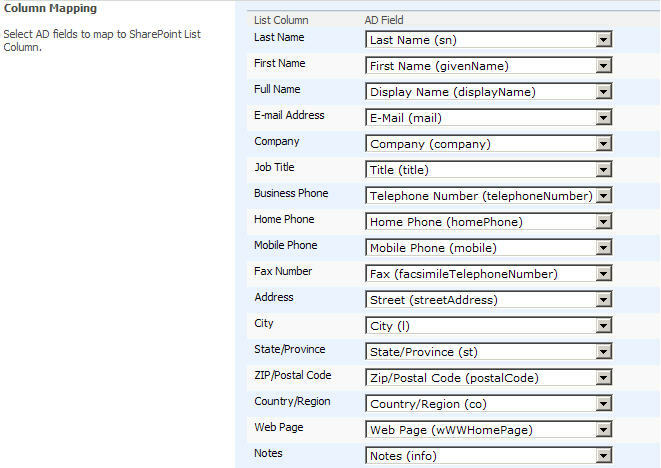 AD Information Sync provides an easy way to gather AD information into SharePoint List based on profile synchronization. You can customize synchronization by setting AD Sync Profiles. A sync profile contains one pair of AD-List and all sync settings are configured for sync between them. With more sync profiles, you can gather information from multiple AD to one SharePoint List or from one AD to multiple SharePoint lists. Easily validate address information for USPS shipments. Compiles the query-relevant information (local or found on the web). Qweas is providing links to SharePoint AD Information Sync 2.0.1223 as a courtesy, and makes no representations regarding SharePoint AD Information Sync or any other applications or any information related thereto. Any questions, complaints or claims regarding this application SharePoint AD Information Sync 2.0.1223 must be directed to the appropriate software vendor. You may click the publisher link of SharePoint AD Information Sync on the top of this page to get more details about the vendor.